Posted in: Addiction, Caretaking, relationships. Tagged: changing habits, emotional wounds, recovery. 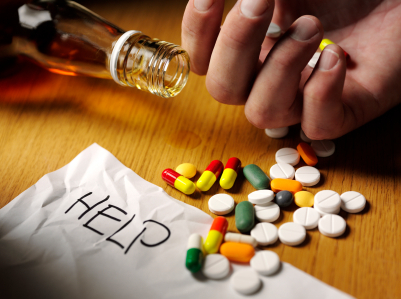 Addiction is recognized as a treatable disease. That doesn’t mean it’s something you catch; like the flu. It’s a disease you develop over time, like diabetes or high-blood pressure. Still, many people attach a shameful stigma to the addicted person and his or her family. This stigma is based on stereotypes that do more harm than good: of drunken louts and no-good dopers, weak-willed, irresponsible characters who are both selfish and hopeless. The truth is that of an estimated 13 million American alcoholics in 1997 (and 5.5 million addicts in need of treatment), probably fewer than 10 percent fit the description of the hopeless drunk or brain-addled junkie. Most are responsible, hard-working people — when they’re straight or sober. The ranks of recovering people include successful athletes, entertainers, business people, even members of Congress and former First Ladies. Nevertheless, a codependent will deny to family, friends, and anyone else who’ll listen (or demands an explanation) that their partner’s drinking or drug use is abnormal, even if he or she displays signs of blatant alcoholism or addiction. But even though codependents ignore the symptoms, the symptoms don’t go away. Where they often go, instead is from bad to worse. a wise person doesn’t try.